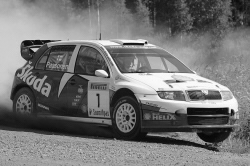 Finland / Exide Rally / Gardemeister-Lukander / 1. Nothern Ireland / Lark in the Park / Gass-Cullen / ? Notern Ireland / Lurgan Park / Gass-Cullen / 7. Northern Ireland / KBB Doors Tour of the Sperrins / Ch. Donnelly-Toner / 1. Northern Ireland / Ulster Int. Rally / Gass-Cullen / ? France / Rallye Terre de Provence / Lavigne-Dart / 15. France / Rallye Terre du Diois / Lavigne-Gouillot / 5. *Car was destroyed in the accident during the Wales Rally of Great Britain 2003 by Toni Gardemeister. Germany / Saarland Rally / Schwarz-Hiemer / 1. WRC / Neste Rally Finland / Paasonen-Vainikka / 6. Germany / Welfen Rallye / Kahle-Göbel / 1. Germany / Rallye Vogelsberg / Kahle-Göbel / 1. Germany / KUS-Saarland-Rallye / Kahle-Göbel / 1. Germany / Eifel Rallye / Kahle-Göbel / 2. Germany / Castrol Rallye Thüringen / Kahle-Göbel / 1. Germany / Lausitz Rallye / Kahle-Göbel / 1. Germany / AvD Sachsen Rallye / Kahle-Göbel / 5. Germany / ADMV Rallye Erzgebirge/ Kahle-Göbel / 1. Germany / AvD BW Helfenstein/ Kahle-Göbel / 1. Germany / ADAC Rallye Niederbayern / Kahle-Göbel / 1. Germany / Thuringen Rallye / Kahle-Göbel / 1. Germany / ADMV Lausitz Rallye / Kahle-Göbel / 8. Hungary / Start Autó Rallye Eger / Turi-Tóth / 1. Hungary / Miskolc Rallye / Turi-Tóth / 3. Hungary / Duna Alba Rallye / Turi-Tóth / 1. Hungary / Szombathely Rallye / Turi-Tóth / 3. Hungary / OMW Bixxol Rallye Veszprém / Turi-Tóth / 2. Czech Republic / TipCars Pražský Rallysprint / Drotár - Bánoci / 7. WRC / Telstra Rally Australia / Gardemeister-Lukander / 11. UK / BRC Live! / Marshall / ? France / Rally Mon-Blanc Morzine / Vouilloz-Pivato / 2. WRC / Wales Rally of GB / Middleton-Hernaman / 17. Hungary / Szombathely Rallye / Turi-Tóth / 4. Hungary / Veszprém Rallye / Turi-Tóth / 3. Czech Republic / Setkání Mistrů - Sosnová / Trněný/Johnson / 4/? Poland / Rajd Warszawska Barbórka / Malyszczycki-Raczak / 20. Hungary / Miskolc Rallye / Spitzmüller-Kazár / 2. Poland (hill climb) / GSMP I.&II. Cisna / Malyszczycki / 2.&2. Poland (hill climb) / GSMP III.&IV. Záluž / Malyszczycki / 2.&1. Poland (hill climb) / GSMP V.&VI. Sopot / Malyszczycki / 2.&? Poland (hill climb) / GSMP VII.&VIII. Sienna / Malyszczycki / 1.&3. Poland (hill climb) / GSMP IX.& X. Slowacja (Bánovce) / Malyszczycki / 2.&2. Poland (hill climb) / GSMP XI.&XII. Rosciszów / Malyszczycki / 1.&1. Poland (hill climb) / GSMP XIII.&XIV. Korczyna / Malyszczycki / 2.&1. Czech Republic / Wurth Partr Rally Vsetín / Trněný-Pritzl / 11. Italy / Rally Isola d´Elba / Galleni-Floris / 2. Italy / Ronde Carnia Alpe / Bertolutti-Furlan / 6. Italy / Monza Rally Show / Capello-Ciceri / 6. Italy / Ronde del Rubicone / Mezzatesta-De Rocco / 12. Poland / Rajd Barbórka / Malyszczycki-Raczak / 21. Italy / Ronde dell'Isola d'Elba / Galleni-Floris / 2. Czech Republic / Böttcher Rally Vyškov / Trněný-Kulhan / 11. Italy / Rally Internazionale del Taro / Sossella-Contini / 3. Czech Republic / Cebia Rally Pelhřimov - Memoriál T. Vojtěcha / Trněný-Pritzl / 3. Czech Republic / Rally Prachatice / Trněný-Pritzl / 7. Italy / Ronde Citta di Albenga / Villa-Calleri / 1. Italy / Ronde Prealpi Trevigiane / Tempestini-Pulpea / 6. Italy / Liburna Ronde Terra / Tempestini - Pulpea / 11. Italy / Rally Elba Ronde / Galleni - Floris / 3. Czech Republic / Rally Vysočina Telč / Trněný - Kafka / 5. Czech Republic / Impromat Rallysprint Kopná / Trněný - Pritzl / 8. Czech Republic / Horácká Rally Třebíč / Trněný - Pritzl / 8. Czech Republic / IMPA Rally Bratislava / Pech jr. - Uhel / 1. Czech Republic / Rally Krkonoše / Trněný - Pritzl / 4. Czech Republic / Admiral Rally Vyškov / Trněný - Pritzl / 5. Czech Republic / AZ pneu Rally Jeseníky / Trněný - Pritzl / 2. Hungary / Komló Rallye / Turán-Zsirosr / R-? Czech Republic / Würth Partr Rally Vsetín / Pantálek-Novák / 10. Czech Republic / TipCars Pražský Rallysprint / Pech - Topolánek / 1. Hungary / Eurofortis Mikulás Rallye / Turán - Nemrava / R - ? Czech Republic / Mikuláš Rally Slušovice / Pantálek - Vilímek / 4. Slovak Republic / Autoslide Žarnovica / Drotár / 6. Czech Republic / Autoslide Pardubice / Drotár / 1. WRC / Telstra Rally Australia / Auriol-Giraudet / 12. WRC / Rally Sanremo-Rally d´Italia / Auriol-Giraudet / 12. WRC / Wales Rally of GB / Auriol-Giraudet / 11. WRC / Neste Rally Finland / Garedemeister-Lukander / 8. WRC / OMW ADAC Rally Deutschland / Gardemeister-Lukander / 7. WRC / Wales Rally of GB / Gardemeister-Lukander / 22. WRC / Rallye Catalunya-Costa Brava / Kopecký-Schovánek / 9. WRC / Rally Automobile Monte-Carlo / Bengué-Escudero / 9. WRC / Uddeholm Swedish Rally / Paasonen-Vainikka / 9. WRC / Corona Rally México / Schwarz-Wicha / 9. Czech Republic / Matador Rally Tatry / Kopecký-Schovánek / 2. Czech Republic / Rally Bohemia / Kopecký-Schovánek / 1. Germany / ADAC Eifel Rally / Bengué-Escudero / 1. Deutschland / ADAC Eifel Rally / Wevers-van Weeren / 5. Netherlands / LG Armsterdam Rallysprint / Wevers-van Weeren / 2. Netherlands / Hellendoorn Rally / Wevers-van Weeren / 2. Ireland / Skibbereen Fastnet Stages Rally / E. Donnelly-Toner / 2. WRC / Ireland Rally / E. Donnelly-Keily / 2. Ireland / Donegal International Rally / E. Donnelly-Kiely / 1. Ireland / Galway International Rally / E. Donnelly - P. Toner / 1. Ireland / Circuit of Ireland Rally / E. Donnelly - D. Toner / 1. Ireland / Jim Clark International Rally / E. Donnelly - P. Toner / 1. Great Britain / Chatsworth Rally Show / E. Donnelly - P. Toner / 1. Ireland / Donegal Int. Rally / E. Donnelly - P. Toner / 2. Ireland / Lurgan Park Rally / E. Donnelly - Mullan / 2. 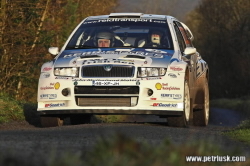 Ireland / Ulster Rally / E. Donnelly - P. Toner / 1. Ireland / Cork 20 International Rally / E. Donnelly - P. Toner / 2. WRC / Neste Rally Finland / Schwarz-Hiemer / 12. 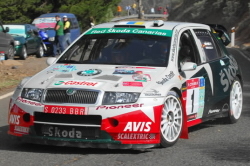 WRC / Tour de Corse-Rallye de France / Gardemeister-Lukander / 11. WRC / Rallye Catalunya-Costa Brava / Gardemeister-Lukander / 12. Czech Republic / Setkání mistrů-Sosnová / Kopecký / 1. Czech Republic / IQ-J?nner Rallye / Kopecký-Schovánek / 2. Germany / Oberland Rallye / Kopecký-Schovánek / 2. Czech Republic / Mogul Šumava Rally Klatovy / Kopecký-Schovánek / 18. Czech Republic / Rallye Matador Tatry-Valašská Rally / Kopecký-Schovánek / 3. Czech Republic / Seat Rallye Český Krumlov / Kopecký-Schovánek / 3. Czech Republic / Rally Bohemia Mladá Boleslav / Kopecký-Schovánek / 1. Czech Republic / Barum Rally Zlín / Kopecký-Schovánek / 1. Czech Republic / Rally Příbram / Kopecký-Schovánek / 1. Czech Republic / Horácká Rally Třebíč / Kopecký-Schovánek / 1. Italy / Monza Rallye Show / Capello / 1. Ireland / Galway Int. Rally / McGarrity-Downey / 3. Nothern Ireland / Bishopscourt Stages Rally / McGarrity-McKee / 4. Nothern Ireland / ALMC Stages Rally / Sleator-Watters / 3. Ireland / Mayo Stages Rally / Sleator-England / 29. Italy / Ronde Valdiano / Nicoloro-Mongillo / 3. Italy / Salita Trofeo Vallecomonica / Santus / 7. Italy / Ronde di Pontecorvo / Nicoloro-Pacca / 3. Poland / Rajd Žubróv / F. Colombi-Matanza / 1. Italy / Rondi Monti Lepini / Nicoloro-Pacca / 1. Italy / Rally Ronde del Soave e del Durello / M. Colombi-Pulici / 1. Italy / Rally delle Bocche di Bonifacio / Diomedi-Bosa / 1. Italy / Ronde Costa Smeralda / Diomedi-Bosa / 3. Italy / Ronde Alto Casertano / Testa-Cioffi / 7. Italy / Ronde Citta di Pontecorvo / Roscia - Ruscio / 12. Italy / Rally della Rosa Camuna e della Vallecamonica / M. Colombi - Pulici / 16. Italy / Ronde Citta di Varallo / Diomedi - Purani / 4. Italy / Ronde Valli Imperiesi / Corona-Florean / R-? Italy / Monza Rally Show / Donetto - Florean / 81. 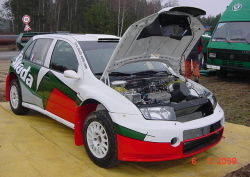 * Probably it was destroyed by Hannu Mikkola during the test of Škoda Motorsport for Rally Finland 2005. WRC / Tour de Corse-Rallye de France / Gardemeister-Lukander / 9. WRC / Rallye Catalunya-Costa Brava / Gardemeister-Lukander / 9. WRC / Corona Rally México / Paasonen-Vainikka / 14. WRC / Supermag Rally Italia Sardinia / Tuohino-Markkula / 13. WRC / Rally of Turkey / Tuohino-Markkula / 13. 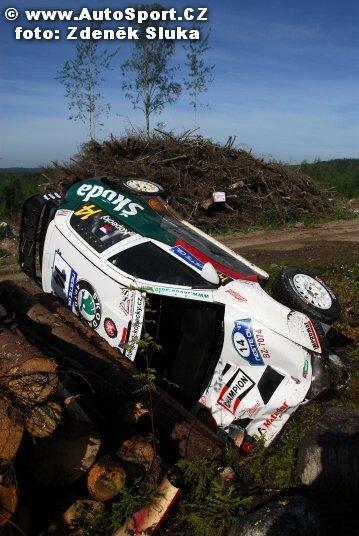 Probably was destroyed: Hannu Mikkola- test for Finland Rally 2005. * First Motorsport used chassis No 23 instead of this chassis. Chassis No. 11 was used for the construction of rallycross car. WRC / OMW ADAC Rallye Deutschland / Schwarz-Hiemer / 11. WRC / Tour de Corse-Rallye de France / Schwarz-Hiemer / 8. WRC / Rallye Catalunya-Costa Brava / Schwarz-Hiemer / 11. WRC / Rally Argentina / Schwarz-Wicha / 16. WRC / Neste Rally Finland / Schwarz-Wicha / 11. WRC / Rally Japan / Schwarz-Wicha / 10. WRC / Tour de Corse-Rallye de France / Vouilloz-Pivato / 11. France / Rallye du Var / Vouilloz-Pivato / 2. WRC / Rallye RACC Catalunya-Costa Daurada / Duval-Pivato / 6. WRC / BP Ultimate Acropolis Rally of Greece / Duval-Pivato / 13. Belgium / Rallye de la Famenne / Van de Wauwer-Hérian / 1. In lieu of this chassis was used chassis number 23. Chassis number 11 was used for rallycross automobile construction. *Car was destroyed in the accident during the Acropolis Rally 2005 by Janni Paasonen. WRC / Uddeholm Swedish Rally / Ekström-Bergman / 10. WRC / Cyprus Rally / Tuohino-Markkula / 9. 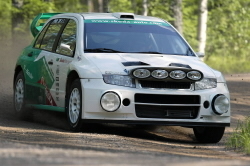 WRC / Neste Rally Finland / Tuohino-Markkula / 10. WRC / Wales Rally of GB / C. McRae-Grist / 7. 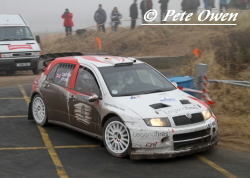 Netherlands / Paradgit ELE Rally / Kuipers-Mombaerts / 13. Netherlands / Vechtdal Rallysprint / Kuipers-Mombaerts / 2. Netherlands / Exotic Green Rallysprint / Kuipers-Mombaerts / 5. Netherlands / Tank S Rally / Temmink-Elbert / 22. Netherlands / LG Almere Rally / Temmink-Elbert / 3. 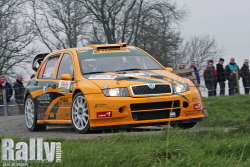 Netherlands / Proflex-Merwede Rally/Sprint / Temmink-Elbert / 4. Belgium / Sezoens Rally / Temmink-Elbert / 15. Netherlands / Paradigit ELE Rally / Temmink-Elbert / 6. Netherlands / Exotic Green Rally / Temmink-Elbert / 17. Netherlands / Amsterdam Rally sprint / Temmink-Elbert / 3. Netherlands / Euregio Rally / Temmink-Elbert / 6. Netherlands Autosoft Vechtdal Rallysprint / Huzing-Aalting / 1. Netherlands Exotic Green Rally / Huzing-Aalting / 6. Netherlands RallyPro Amsterdamsprint / Huzing-Aalting / R-? Netherlands / Hellendoorn Rally / Huzing-Aalting / 5. Netherlands / Conrad Euregio Rally / Temmink-Elbert / 6. *Car was destroyed in the accident during the test for Rally Sardinia 06 by Harri Rovanperä. WRC / Propercia Rally New Zealand / Schwarz-Wicha / 10. WRC / Cyprus Rally / Schwarz-Wicha / 13. WRC / Acropolis Rally / Schwarz-Wicha / 18. Finland / Tampere Rally / Paasonen-Vainikka / 3. WRC / Wales Rally of GB / Schwarz-Wicha / 13. WRC / Telstra Rally Australia / Schwarz-Wicha / 8. * Tarmac version 2005, totally new rebuilt in 2008. Car was rebuilt to the highest standards. 5-speed sequential gear box and PI datalog system. WRC / Rally RACC Catalunya-Costa Dauranda / Schwarz-Wicha / 11. WRC / Monza Rally Show / C.Mcrae-Patterson / 3. 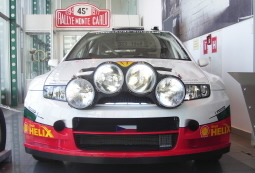 WRC / Rally Automobile Monte Carlo / Panizzi-Panizzi / 10. WRC / Rally RACC Catalunya-Costa Dauranda / Panizzi-Panizzi / 10. WRC / Tour de Corse-Rallye de France / Rovanperä-Pietiläinen / 12. WRC / Rally d´Italia Sardegna / Rovanperä-Pietiläinen / 20. WRC / BP Ultimate Acropolis Rally of Greece / Rovanperä-Pietiläinen / 12. Canary Islands / Rallye de Canarias / A. Ponce-Gonzáles / 2. Canary Islands / Rallye Isla de Gran Canaria / A. Ponce-Gonzáles / 1. Canary Islands / Rallye Grandilla / A. Ponce-Gonzáles / 1. Canary Islands / Rallye Isla de la Palma / A. Ponce-Gonzáles / 1. Canary Islands / Rallye Ciudad de Teldea / A. Ponce-Gonzáles / 1. Canary Islands / Rallye Villa de Adeje / A. Ponce-Gonzáles / 1. Canary Islands / Rallye de Maspalomas / A. Ponce-González / 2. Canary Islands / Rallye Villa de Santa Brígida / A. Ponce-Parada / 1. Canary Islands / Rallye Granadilla / A. Ponce-Gonzáles / 1. Canary Islands / Stadium Race Gran Canaria (Asfalto) / A. Ponce / 1. Canary Islands / Rallye Ciudad de Telde / A. Ponce-Gonzáles / 1. Canary Islands / Rallye Villa de Teror / A. Ponce-Gonzáles / 2. WRC / Tour de Corse-Rallye de France / Bengué-Escudero / 6. Italy / Monza Rally Show / Capello-Pirollo / 1. WRC / Rallye Automobile Monte-Carlo / Aigner-Gottschalk / 13. WRC / Rally RACC Catalunya-Costa Daurada / Aigner-Gottschalk / 13. WRC / Tour de Corse-Rallye de France / Aigner-Gottschalk / 15. WRC / Rally d´Italia Sardegna / Aigner-Gottschalk / 13. WRC / BP Ultimate Acropolis Rally of Greece / Aigner-Gottschalk / 14. WRC / OMV ADAC Rallye Deutschland / Aigner-Wicha / 6. WRC / Rally of Turkey / Aigner-Wicha / 10. WRC / Wales Rally of GB / Aigner-Wicha / 62. Germany / Lausitz Rallye / Poulsen-Frederiksen / 3. Lithuania / Hansa Lizingo Ralis / Girdauskas-Urbonas / 1. Latvia / Rallijs Cesis / Girdauskas-Urbonas / 3. Lithuania / Ralis Saule / Girdauskas-Urbonas / 1. Lithuania / Winter Rally / Girdauskas - Urbonas / 1. 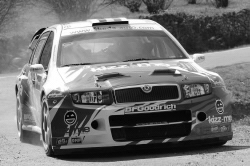 WRC / Rally d´Italia Sardegna / Duval-Pivato / 8. WRC / Rally of Turkey / Duval-Pivato / 9. WRC / Wales Rally of GB / Duval-Pivato / 8. Netherlands / Vechtdal Rallysprint Hardenberg / Kleinjan-Hulzebos / 1. Netherlands / Exotic Green Rally / Kleinjan-Hulzebos / 2. Germany / Lausitz Rally / Kleinjan-Grooten / 18. Netherlands / Conrad Euregio Rally / Kleinjan-Hulzebos / 3. Netherlands / Tank S Rally / Kleinjan-Hulzebos / 3. Germany / Rallye Vogelsberg / Kleinjan-Hulzebos / 9. Belgium / Sezoens Rally / Kleinjan-Hulzebos / 3. Netherlands / Autosoft Vechtdal Rallysprint / Kleinjan-Hulzebos / 1. WRC / ADAC Rallye Deutschland / Kleinjan-Hulzebos / 20. 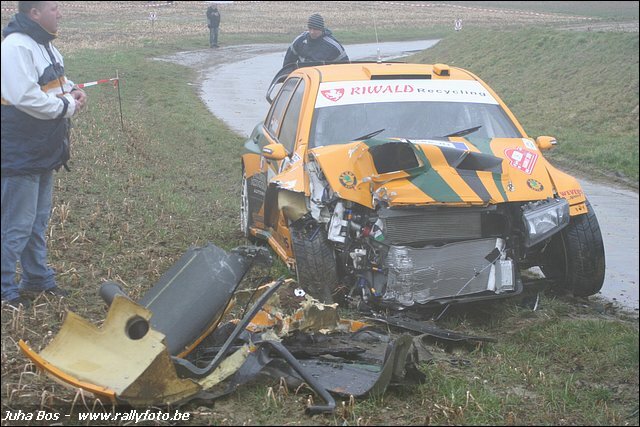 * Car was destroyed in the accident during the Rally of Turkey 2006 by Jan Kopecký. WRC / Tour de Corse-Rallye de France / Kopecký-Schovánek / 12. WRC / Rally RACC Catalunya-Costa Daurada / Kopecký-Schovánek / 8. WRC / Rallye Automobile Monte-Carlo / Kopecký-Schovánek / 11. WRC / Uddeholm Swedish Rally / Kopecký-Schovánek / 13. Hungary / Szombathely Rallye / Kopecký-Schovánek / 3. WRC / Neste Oil Rally Finland / Kopecký-Schovánek / 8. WRC / Rally RACC Catalunya-Costa Daurada / Kopecký-Schovánek / 5. WRC / Tour de Corse-Rallye de France / Kopecký-Schovánek / 10. WRC / Rally d´Italia Sardegna / Kopecký-Schovánek / 17. WRC / BP Ultimate Acropolis Rally of Greece / Kopecký-Schovánek / 16. WRC / OMW ADAC Rallye Deutschland / Kopecký-Schovánek / 7. WRC / Setkání mistrů-Sosnová / Kopecký / 1. WRC / Wales Rally of GB / Kopecký-Schovánek / 10. WRC / Uddehol Swedish Rally / Kopecký-Schovánek / 10. WRC / Rally Norway / Kopecký-Schovánek / 8. WRC / Vodafone Rally de Portugal / Kopecký-Schovánek / 20. WRC / BP Ultimate Acropolis Rally of Greece / Kopecký-Schovánek / 7. WRC / Wales Rally of GB / Kopecký-Schovánek / 12. Norway / Rally Finnskog / Linnerud-Engen / 5. Norway / Numedals Rally / Kongsrud-Isdal / 7. Norway / KNA Ford Rally Stavanger / Kongsrud-Ovestad / 1. Norway / Bjerkeracet / Kjaer / 5. Norway / Romjulsrally / P. G. Andersson-J. Andersson / 1. Norway / Sigdalsrally / P. G. Andersson - J. Andersson / 1. WRC / OMW ADAC Rallye Deutschland / Ekström-Andersson / 11. WRC / Rally of Turkey / Rovanperä-Pietiläinen / 11. WRC / Wales Rally of Great Britain / Rovanperä-Pietiläinen / 9. Italy / Rally Internazionale del Ticino / Re-Bariani / 1. Italy / Monza Rally Show / Re-Bariani / 5. Italy / Ronde del Rubicone / Re-Bariani / 1. Czech Republic / Pražský Rallysprint / Trněný-Březina / 1. Italy / Memorial Bettega - Trofeo WRC / Re / 5-8. Latvia / Rallijs Kurzeme / Kisiels-Panavs / 10. Netherlands / Amsterdam Rally sprint / Wevers-van Weeren / 2. Netherlands / Twente Rally Sprint / Melse-Meulenbeld / 4. Belgium / Sezoens Rally / Huzing-Aalting / 9. Germany / ADMV Lausitz Rallye / D. Kuipers-Hagmann / 1. Italy / Monza Rally Show / Longhi - Cassol / 12. WRC / Rally Automobile Monte-Carlo / Kopecký-Schovánek / 8. WRC / ADAC Rallye Deutschland / Kopecký-Schovánek / 5. WRC / Tour de Corse-Rally de France / Kopecký-Schovánek / 7. Czech Republic/ Setkání mistrů-Sosnová / Kopecký-Schovánek / 1. Spain / Rally Shallymar / Sainz-Moya / 1. Italy / Memorial Bettega / Kopecký / 5.-8. * This chassis was built for First Motorsport. Belgium / Rally Condroz / Duval-Leyh / 1. 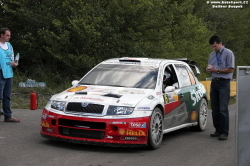 France / Rally du Sartenais / Leandri-Luigi / 3. Italy (TRA) / Rally Appennino Reggiano / Re-Bariani / 7. WRC / Tour de Corse-Rallye de France / Leandri-Luigi / 16. France / Rally Corte Centre Corse / Leandri-Luigi / 3. France / Rally National de Maquís / Leandri-Luigi / 2. Italy / Memorial Bettega / Capello / 5-8. France / Rallyes Giraglia / Leandri-Luigi / ? Poland / Rajd Barbórka / Kuzaj - Parry / 11. 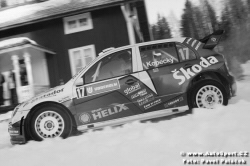 Norway / Rally Finnskog / Kongsrud-Isdal / 7. Norway / Numedals Rally / Linnerud-Engen / 4. 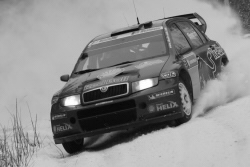 Norway / Rally Sorland / Sandell-Axelsson / 4. Norway / Bjerkeracet / Sandell / 3.